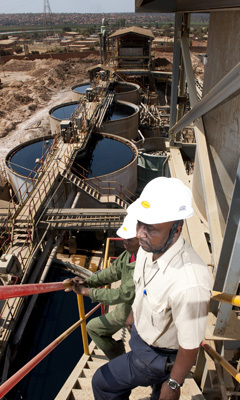 The cobalt is treated alongside the copper until final recovery where ph modification by lime slurry is used to precipitate the metal into cobalt carbonate/hydroxide. 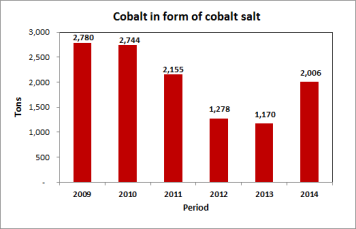 The cobalt plant produced 2,006 tonnes of cobalt metal in the form of cobalt hydroxide in the year 2014. The plant has spare capacity and is expected to produce 2,400 tpa when feed from the planned concentrator comes on stream. Shalina Resources also has a successful pilot Co EW plant that produces approximately 50 tpa cobalt cathodes, with a 99.9% grade cobalt cathode product.